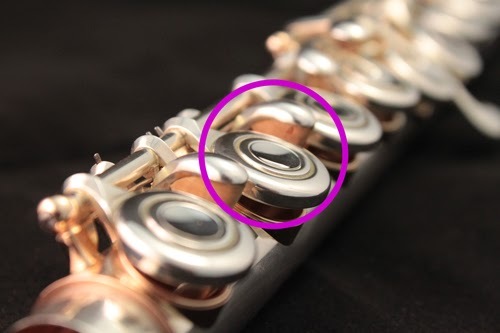 We recently had an inquiry from a customer with a "stuck Plug-O" and thought it might be time to talk a bit about prevention... You see, if you have a Plug-O stuck in one of your flute keys, the best remedy is to take it to your repair technician. But, there is something you can do to keep your Plug-Os from getting stuck -- clean them! The Plug-O has a rubber "O ring" that fits inside the hole in the middle of a French key cup. The rubber is meant to grip the metal to provide a secure fit. However, the Plug-O can accumulate some "grime" after a period of time, simply from normal wear and tear. The oils from your hands can get down around the edge of the Plug-O, mixing with dirt and dust particles and creating a build-up that makes the Plug-O difficult to remove. So, how can you keep this from happening? Well, you should remove the Plug-Os periodically and clean them -- and the keys as well. Start by removing the Plug-O with the tool that came in the package. It is specially designed with a small plastic tip that goes under the middle of the Plug-O. Push up gently, and the Plug-O should come out. Then, you should take a clean, dry Q-tip and wipe around the inside of the hole in the French key cup. Now it is time to clean the Plug-O. You can run the Plug-O under a bit of water and then wipe it off with a clean, dry cloth (or clean, dry Q-tip). 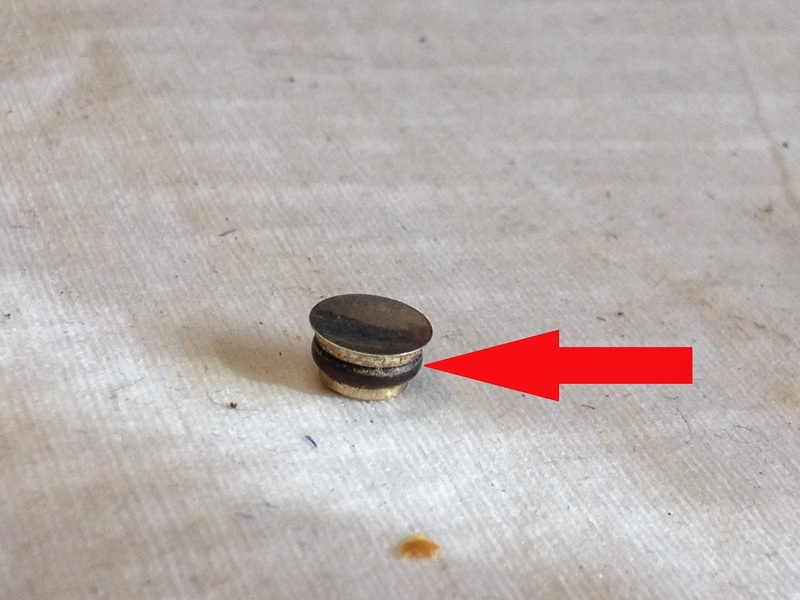 Make sure the Plug-O is completely dry before you put it back in the key cup! Once it is clean and dry, it should be good to go! Water really is best for cleaning the Plug-O. Do not use alcohol (no matter how tempting) because it will dry out the rubber O ring and cause it to crack or break. Also, if you are wondering how often you should clean the Plug-Os, well, it depends on the player. It could be once a month or once every now and then. It really depends on how "grimy" your flute gets on the outside from regular wear and tear. Whatever frequency you need for cleaning, it will all pay off in the long run! 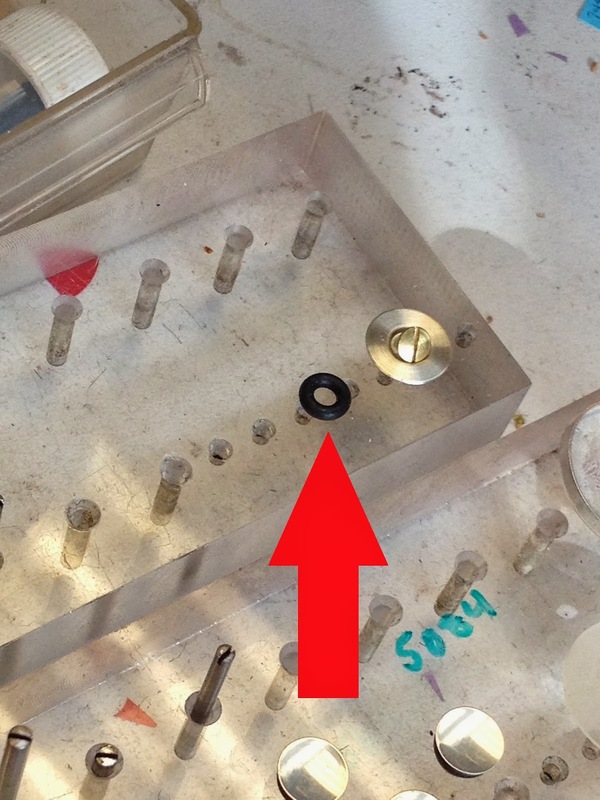 Red arrow points to built-up grime on the Plug-O's "O ring." Red arrow points to clean O ring. Removal tool that comes in the Plug-O package. Top of the tool has a small plastic tip to help remove Plug-O.